Suitable for Beyerdynamic DT770 DT880 DT990 DT770 headphone. It is snap easily into your headphone. Included:1 A Pair of Ear Pads Ear Cushions. 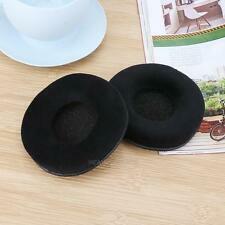 This pair of ear cushions is made of Velvet material, which makes your wearing very cozy and comfortable. 1pc earbuds. Apply soft silicone ear pads, which can provide gentle and secure fit. Ear jack: 3.5mm. Block out noise outside. 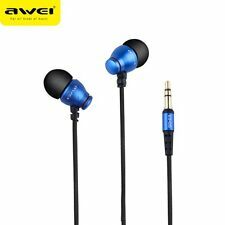 Excellent sound quality, professional made. The various sizes of ear adapters (S/M/L) allow for a customized fit as well as exceptional noise blocking capability. Microphone: No. Cable length: 1.2m / 3.93ft. Model Number: CX300II. Color: Black. 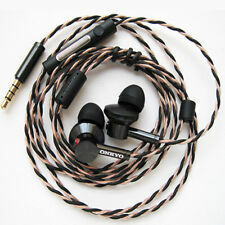 Zipper Headphone Earphone Earbud 3.5mm Headset Glow In-Ear Luminous Headphones. Headphone Magnet Wireless Bluetooth For iPhone Samsung Headset Sports Earphone. 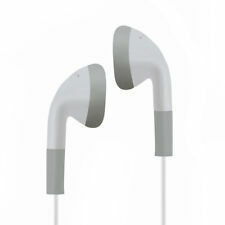 Magnet Earphone Wireless Bluetooth Sports Headphone For iPhone Samsung Headset. Product Features: 100% Brand New and High Quality With Volume Control function. Standard 3.5mm audio jack. Answering calls and end calls button. The comfortable earpone allows you to use it for hours on end, and the discreet microphone on the cord ensures that your voice is heard loud and clear. High-quality microphone on the lead for accepting calls while listening to music and Built-in Microphone featured noise reduction. You will like the monk earbud when you receive it. 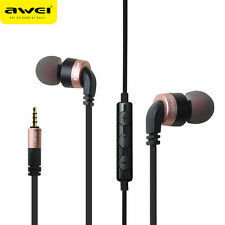 VE Monk plus earphone is very famous, with excellent sound quality. 1 VE MONK Plus Earbuds. Flat head earphone, good earphone for music,but no microphone. Driver: 1DD 1BA made by Knowles. Type: In Ear. Cable Length: 1.2m. Color: Silver. In order to provide you the best service. or negative. With mic:No. Plug Type: Straight. With the highly-rigid housing crafted from stainless steel, the drivers of the E3000 are kept highly stable, minimising vibrations that might colour the sound. 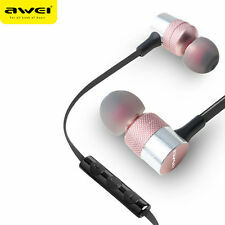 This design displays a simple form and interesting texture that matches the sound image of the E3000 dynamic earphones. We’re thrilled to introduce the encore to our highly successful multi Award Winning Alfa Genus headphones – Alfa Genus V2 is here! One of the headphone’s best features is its unique tuning filter system. Feature: Comfort-fit: Ergonomic custom soft silicone ear tips to ensure a comfortable fit for everyone(universal size) Super-Stereo Sound: Hifi metal bass earphone, shake your deep inner mind with every beat. Unique sports tips design that's lightweight and comfortable for all-day use Compatible with Samsung Galaxy S8 S8 Note 8 or any device that have 3.5mm port Specification: Headphone line: 1.2m Optional color: black | white Interface type: 3. Magnesium alloy casting cavit: The chamber of the kanas pro edition is made of zinc-magnesium alloy one-piece industrial castings, polished, and plated with white steel. Diaphragm Material: DLC Diamond-Like Carbon. Shure SE846 earbuds in clear. 3 digit Date code on drivers # 188 & 257 or 378 & 378 or 257 & 188 or 108 & 108. MINT condition. I'm a musician / dj located in Chicago suburbs and these were my band mates earbuds that they used. KZ AS10 5BA HiFi Stereo In-Ear Earphone High Resolution Earbuds With 0.75mm 2 Pin Cable Five Balanced Armature DriverBLACK COLOR. Model AS10. ● The midbass and treble driver unit have a rich, vigorous performance at bass, midrange and treble, bass, mids and treble are rich and energetic. Cavity: Three-axis cutting brass. Wire rod: 4N Litz OFC. Full-frequency total harmonic distortion: THD < 2%. Coil: 0.03mm-CCAW. Unit: 6mm External Magnetic Transducer.